Peterson Field Guides are valuable additions to any birder's pocket or day pack. At a trim size of 5 x 8, they are portable and beautifully illustrated. Photographs, while modern looking and colorful, capture just one moment in time. The paintings in these guides, however, show all of a bird's key field marks and use the Peterson Identification System to make bird identification easier for beginning and intermediate bird watchers. 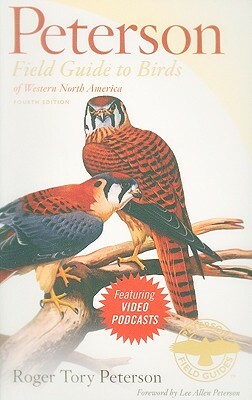 The Peterson Field Guide to Western Birds covers nearly 600 species on 176 color plates, with 588 comprehensive range maps, now included with the illustrations. Expert birders have also created 35 entertaining and easy-to-use supplementary video podcasts, which are available to download.